2015 and it’s that time again, Fresh Hopped beers abound, and this is an old favourite in a current version. so Hop grassy beer, SuperGrass, Super numbers and all-in on party time. Not only did the Americans invent hot-rodding, they invented hop-rodding too. 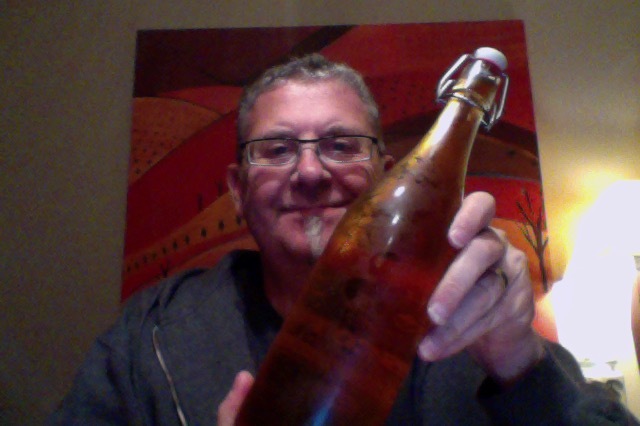 This is a 1 litre FYO bottle of an 8.0% ABV beer, and 90 IBU things which is 6.3 drink units in NZ, This about 240 calories a serve size. In the late 1960’s a Tauranga teenager called John Reid threw a kiwi hat in to that ring with the the famed “Vandal”, a dazzling green flake 1919 Dodge Bucket. In his spirit we are rising to the other challenge with a beer named in his honour – a big, bitter APA stuffed with the tropical hit of Nelson Sauvin, Kohatu and Riwaka Hops. Like any good hotrod, it’s built to attract as much attention as possible. Absolutely immense aroma of wet cut grass, sugars and a hint of a citrus. Pour is pale, but you could tell, and a giant head forms, mostly on purpose because, hey, I can. Aroma in the glass is lovely. Initial taste then. I thought this was slightly sour other than bitter, and there is lovely malt sugar thing there that offsets a little that thought, and I don’t think this is particularly bitter bitter. It is very green to drink, raw and insistent hop on the front end, and a finish that is slightly to the dry, the middle is fleeting but carries well. Grapefruit. That’s the one, it’s quite tart and insistent. For a beer that I thought I wasn’t enjoying I appear to have sipped my way thought quite a bit of it. But I’m not totally engaged with it, for me this really is too ‘green’, just a bit raw and unfinished. It is nice to drink, but it isn’t as polite or rounded or complete as other big IPA beers that I have had and enjoyed, I don’t think it’s as good as the time when I gave this a 10 that time I drank it. Seems such a long time ago. This stands well in the great IPA category, and has, I think enough difference about to be near the front. I could if pushed name 4 or 5 more rounded and even IPA beers, but this is as it says it is a vandal of immensnessness. The pdubyah-o-meter rates this as 8 of its things from the thing. I don’t seem to be enjoying this as a beer as much as I wanted to, and I think that appears to be the case in that the first time was the best and each other time has just fallen short of that strange memory thing where you think you literally had an epiphany. Am I enjoying it? I am, and I think I’ve been clouded by the first experience that you can never have again. Unlike when your wife walks into the room and that’s just awesome every time. Would I have another? I would, this is and remains a go-to beer. Would I share with a friend on a porch and set the world to rights? I’d hesitate with this version but I’d take it anyway just because it is what it says it is, and I’m all-in on that. Supergrass were an English alternative rock band from Oxford.England. Ah Supergrass, saw them supporting Blur in Dublin back in ’95! And there I was thinking no one got to the music part. I enjoyed that album, can’t say I ever saw them, or Blur, although I have been to Dublin, but it was long time ago and in a different life. Well that’s all of twenty years ago, the height of ‘Britpop’, I always like the music bits, if I can’t get the beer I can listen to the tunes! I’m always up for music suggestions to, don’t hold back. Do you like The Replacements? I have them up on the music player thing now, and will crack a beer and give them a good listening to. 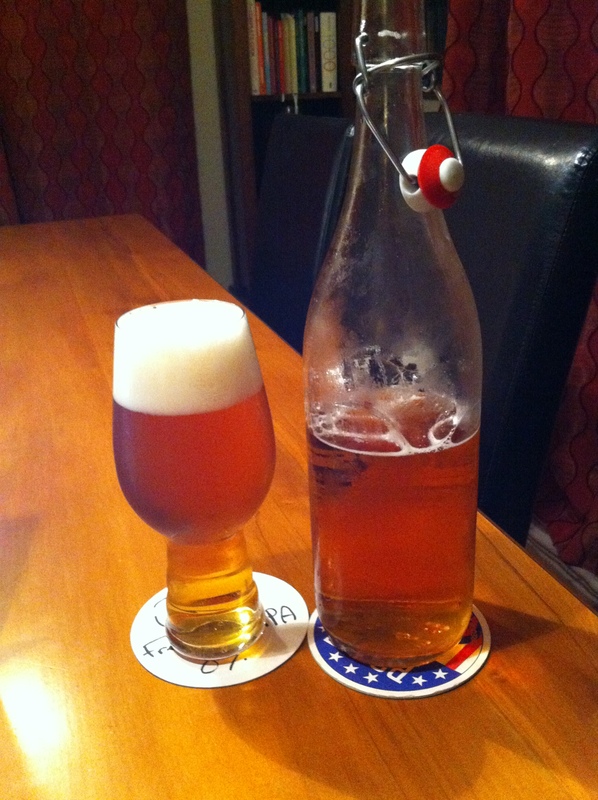 This entry was posted on May 21, 2015 by Philip Walter in Beer, Beer of New Zealand, Beer Review, Craft Beer, Critic, India Pale Ale (IPA), Panhead and tagged Alcohol by volume, Beer, craft beer, Fresh Hopped Vandal, Hops, IPA, Panhead Custom Ales, Upper Hutt.